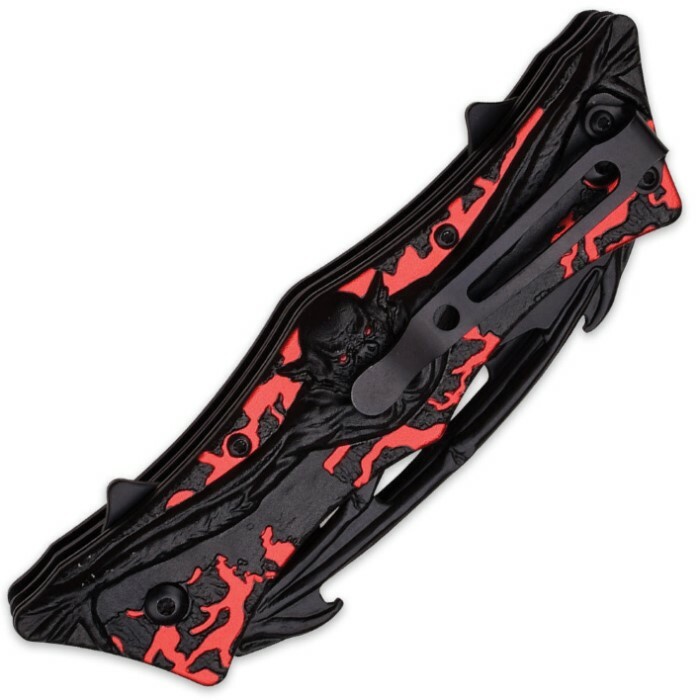 Red Handle Black Bat Dual Blade Assisted Open Folding Knife | BUDK.com - Knives & Swords At The Lowest Prices! This Black Bat Dual Blade Folder is one fierce knife! Equipped with black-coated stainless steel blades on each end of the handle, each blade rockets open with the help of the spring-assisted mechanism. 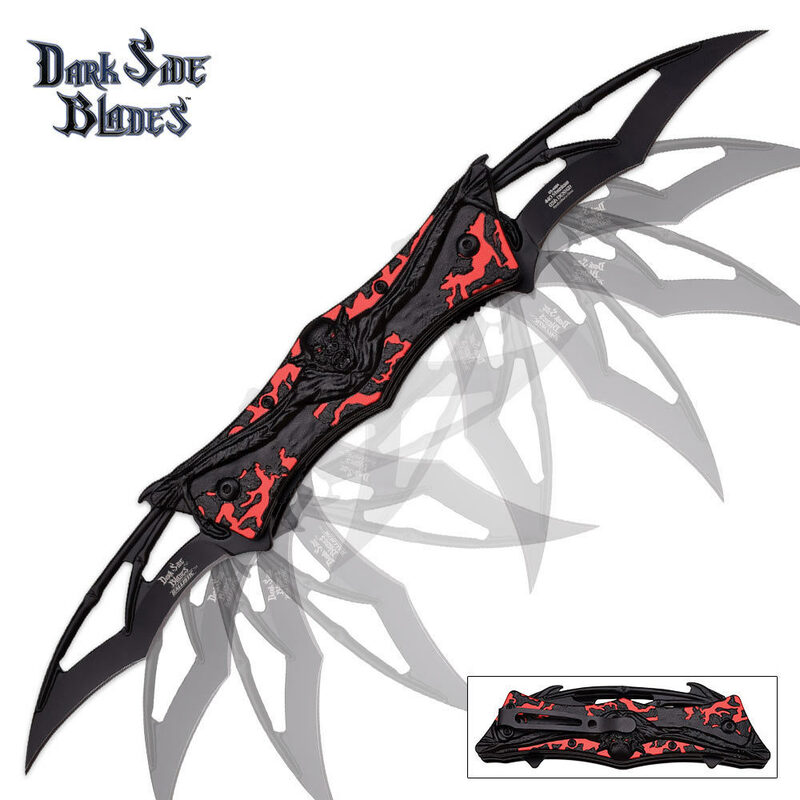 The blades also feature cut outs for a wicked look and feel. The red aluminum handle has a black bat soaring through the air right on the front side! This knife not only looks cool but it will cut through anything! Includes black-coated pocket clip.